Boyles Motorcycle has been in Old Town next to the Paper Mill in the same location for more than 20 years, and we decided to bring some of our business to the internet. So, welcome to our web site. You can find all kinds of things to buy here. We sell Used Harleys, ATVs, and Snowmobiles. 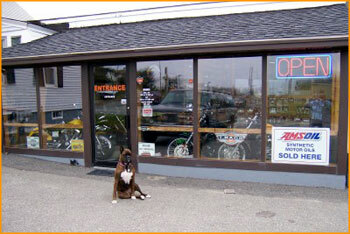 We also sell Harley accessories, OEM parts, trikes and leathers. Cruise through the site, it wont take long, we designed it so you can "get in and get out" with what you need. We go to auctions all the time, we buy stuff, all the time. This site is where we will post the new stuff we have to sell. Keep checking this site, because you will see the new things here. If you have something in mind you are looking for and dont see it in its category, fill out the form and send us an email. We can find it for you at the right price.